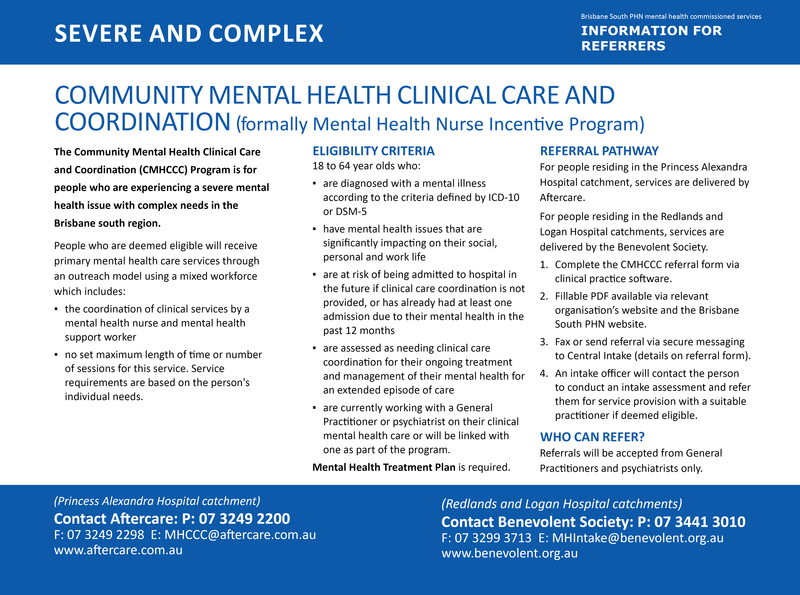 This page is for primary care health professionals who need to connect with, or refer patients to, support services for mental health issues. 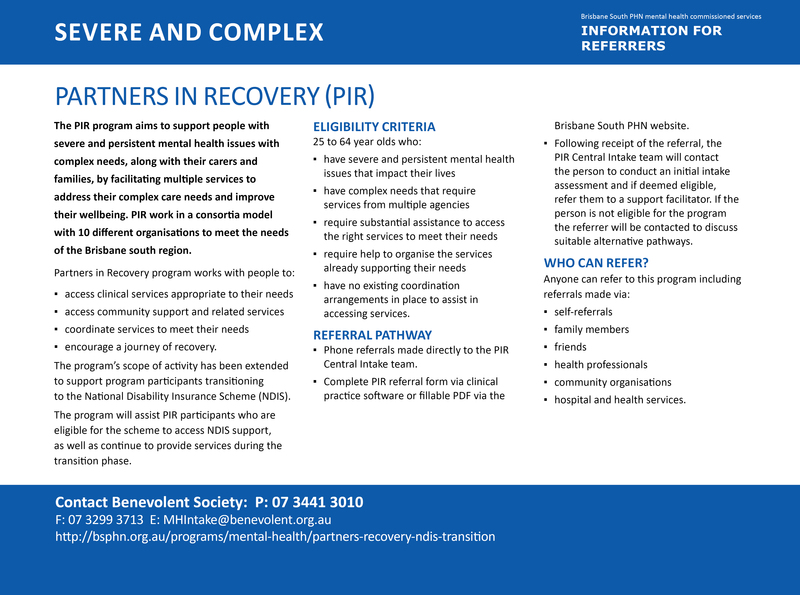 Improved coordination of services and increased early intervention for people with mental health issues can have a large, positive impact on the individual, the health system and the community. 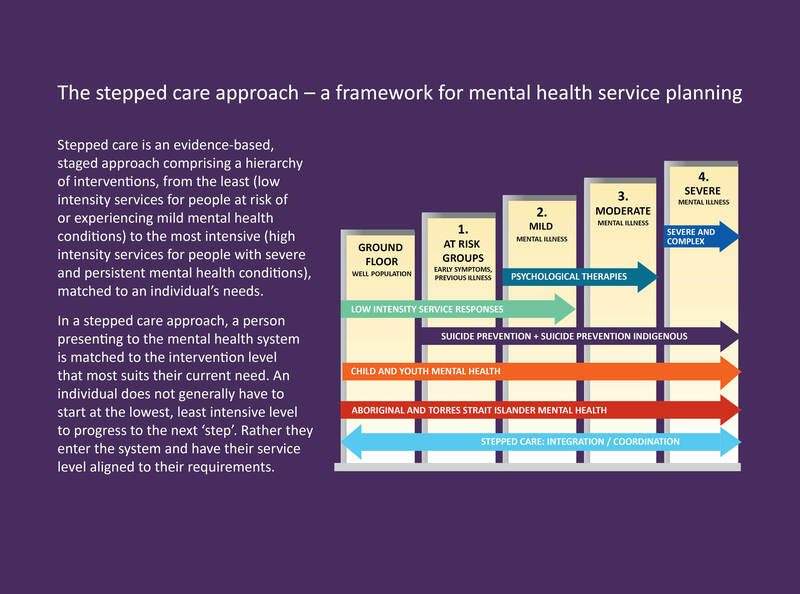 PHNs have been given responsibility by the Department of Health to lead mental health and suicide prevention services to improve outcomes for people with, or at risk of, mental illness and/or suicide. 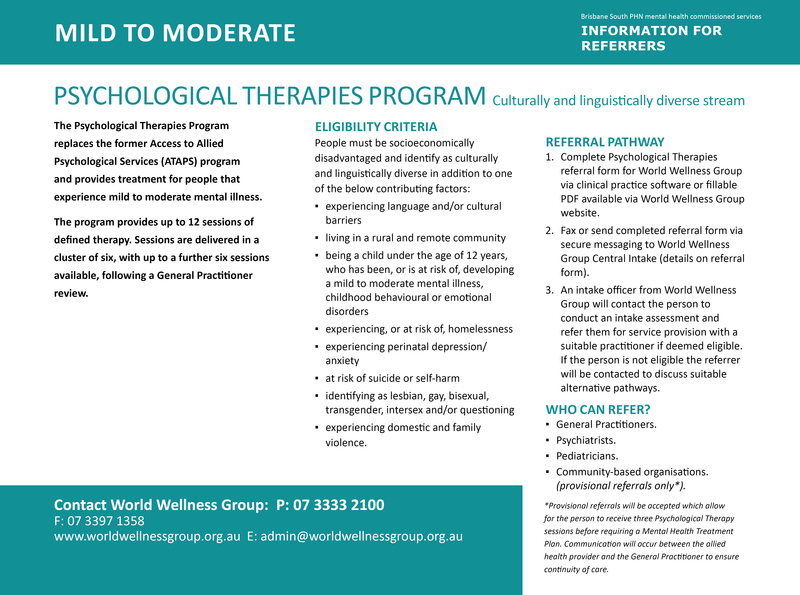 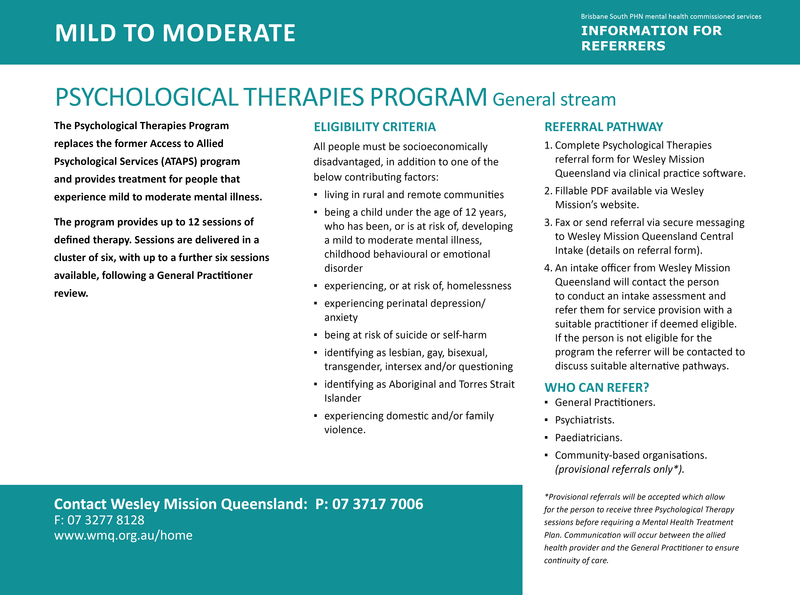 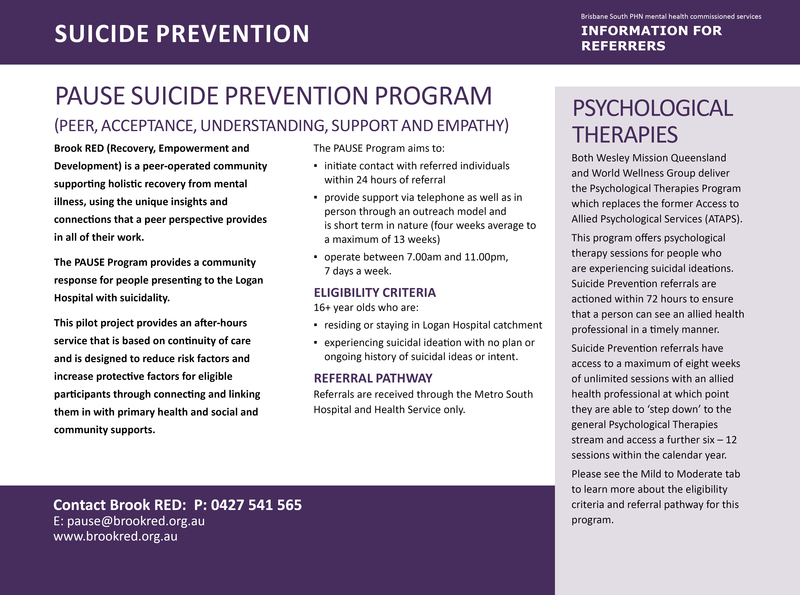 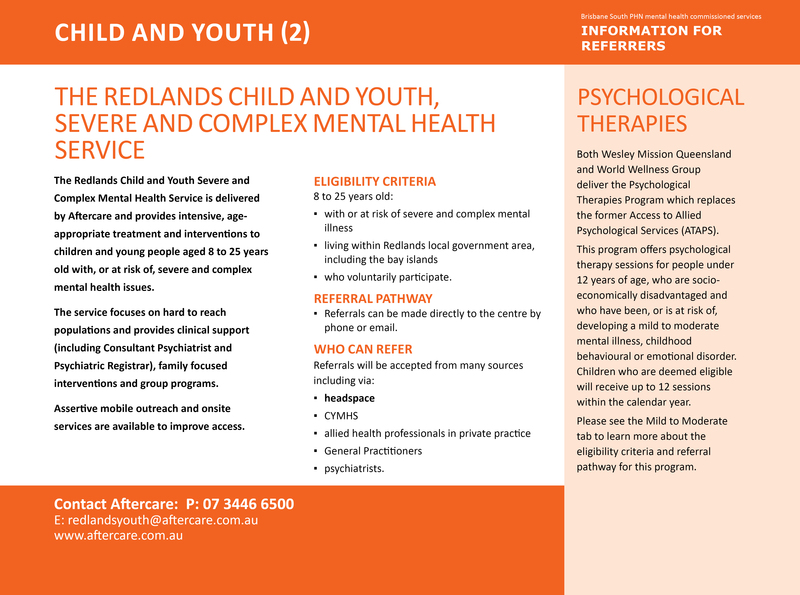 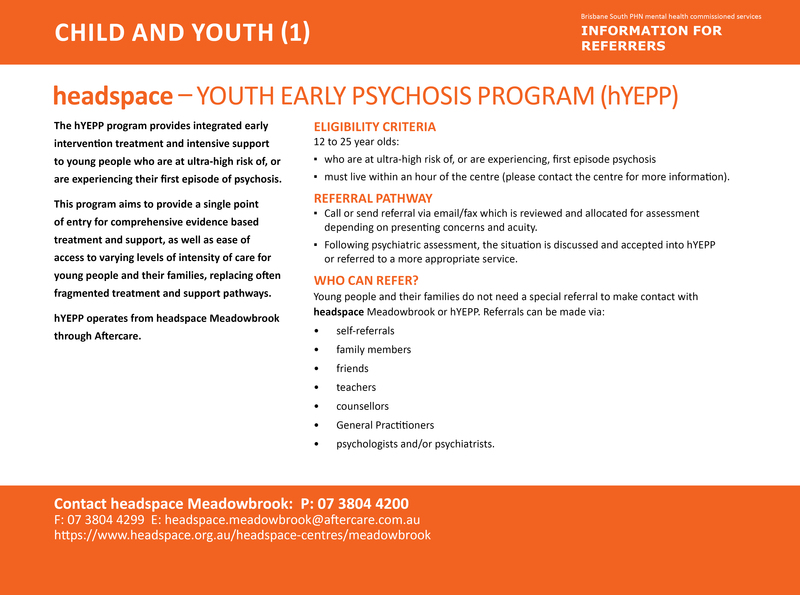 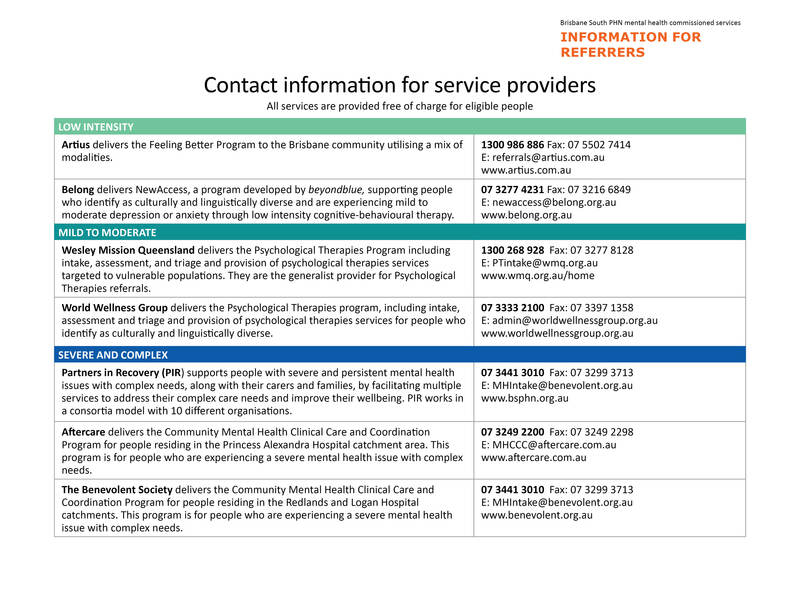 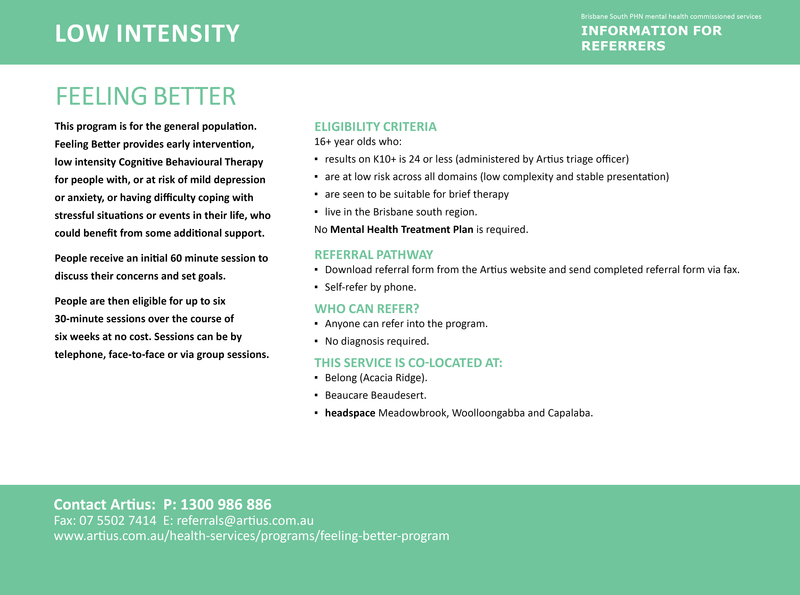 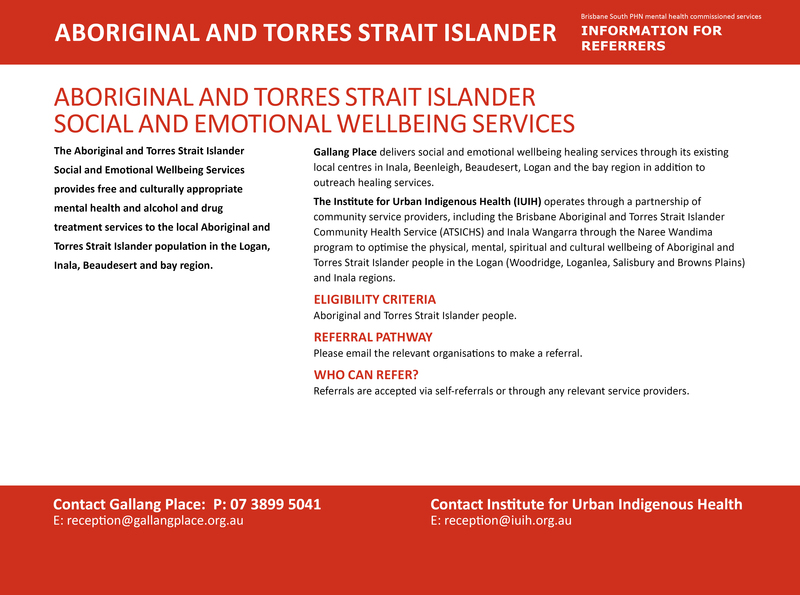 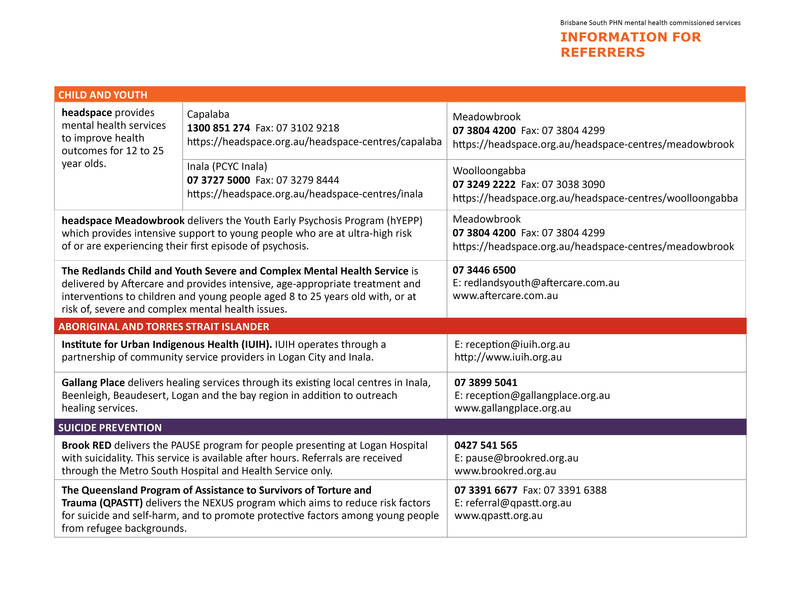 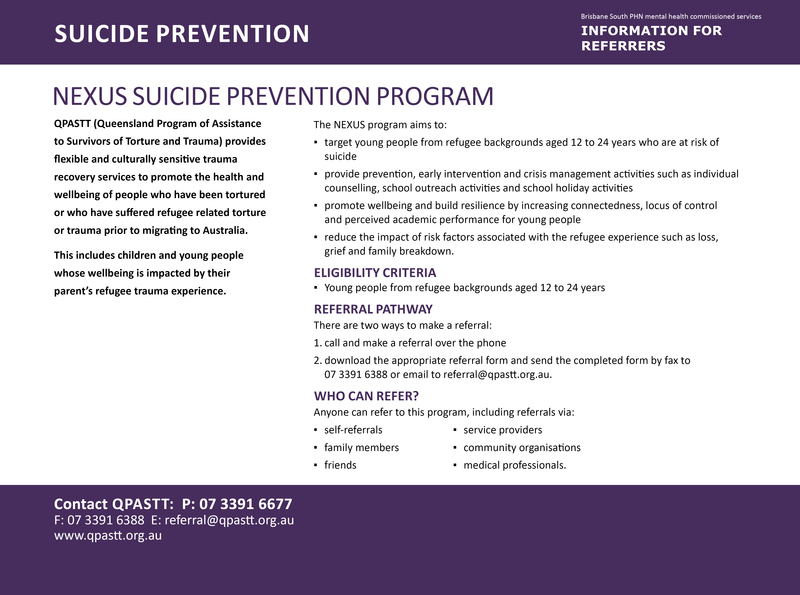 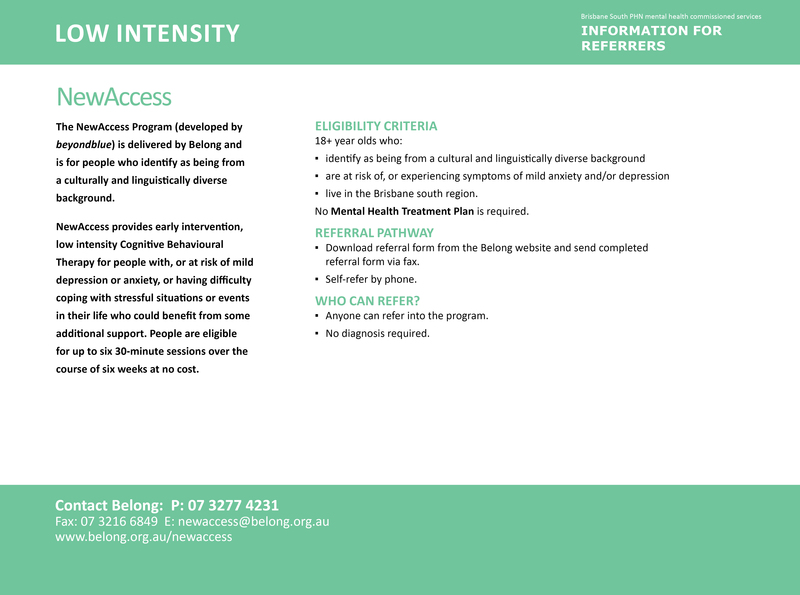 This section includes details of mental health initiatives by Brisbane South PHN and resources for healthcare providers. 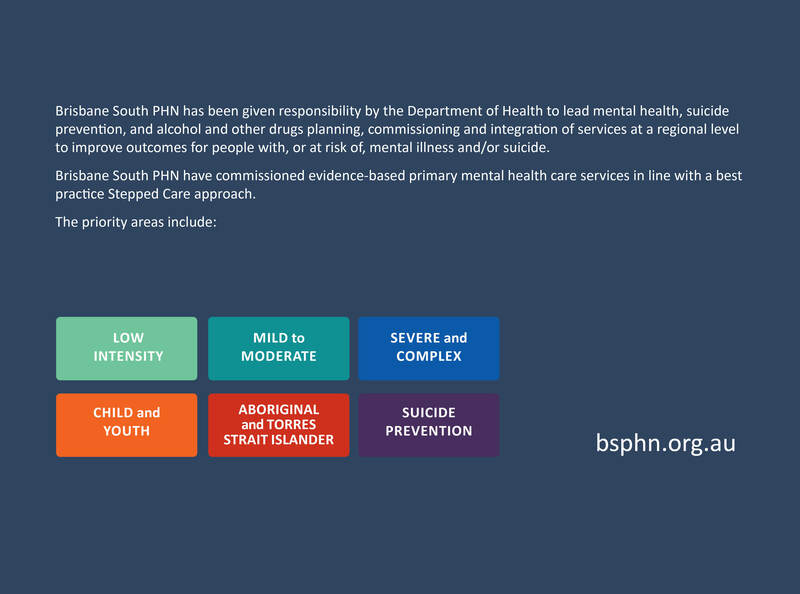 Brisbane South PHN is co-designing solutions to meet the needs of people in our catchment by working with local communities, consumers, carers, health professionals, hospitals and community mental health providers. 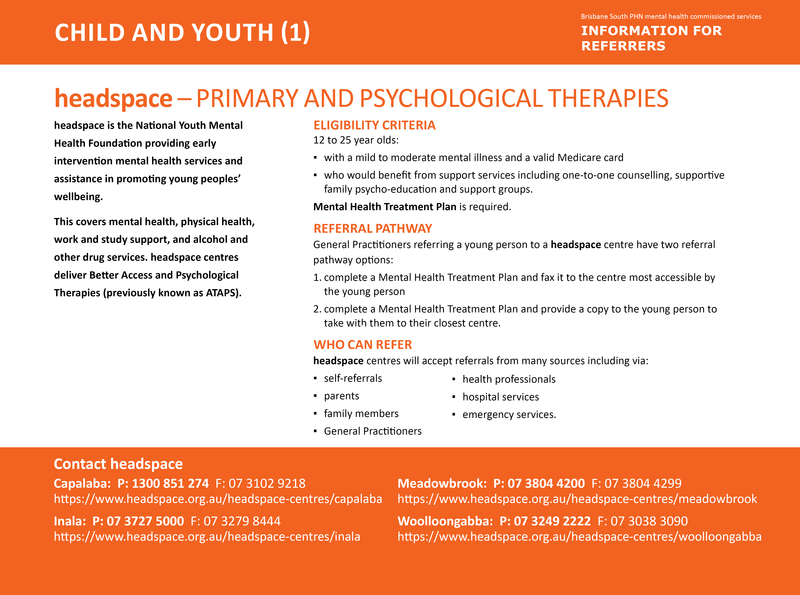 Head to Health assists people in the community to find the mental health information, resources, and services that most suit their needs. 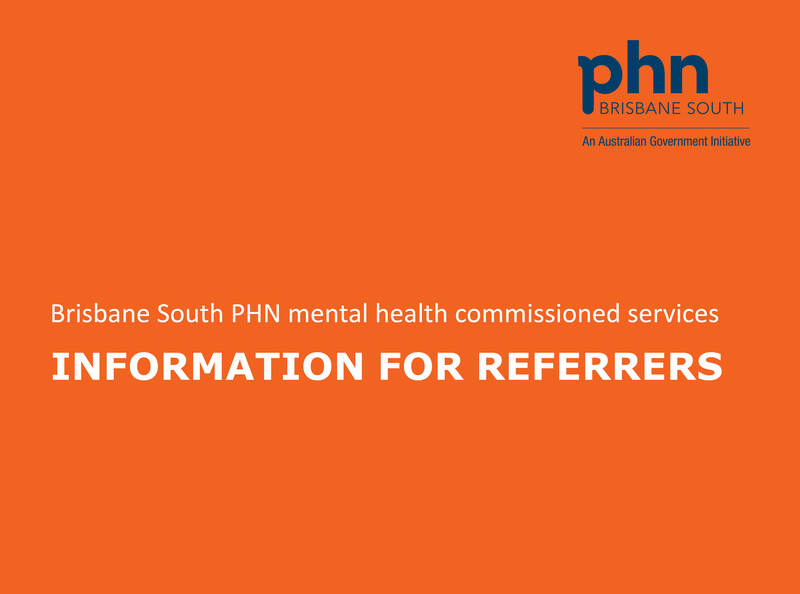 The Queensland Network of Alcohol and Other Drug Agencies service referral guide is commissioned by Brisbane South PHN and Brisbane North PHN to assist people in finding suitable alcohol and other drug services within the Brisbane region.